EDIT: This table has been updated to reflect corrections in the atomic weights of iron and gallium. 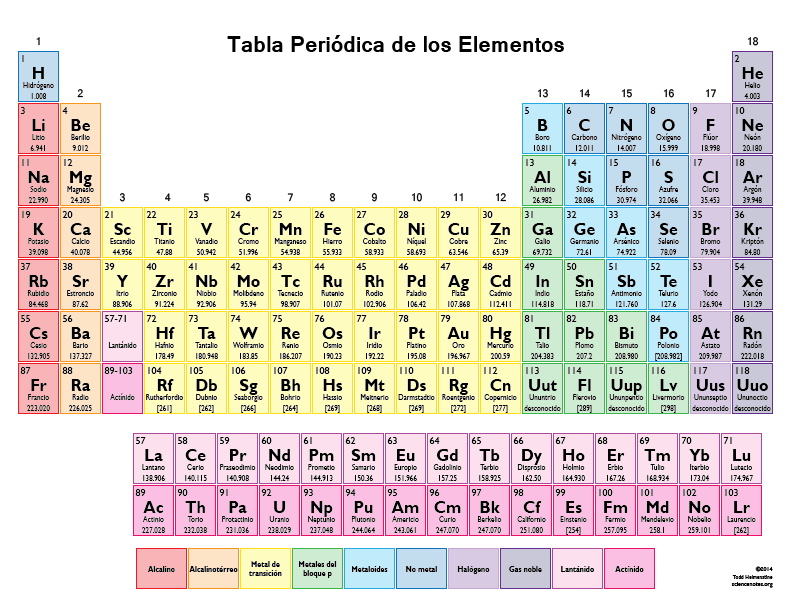 The updated table can be found at Imprimible Tabla Periódica de los Elementos en Color – 2015 Color Spanish Periodic Table. This color printable periodic table is useful for those who need a Periodic Table in Spanish. In addition to the element names in Spanish, each element has it’s atomic number, element symbol and atomic mass.